It was set up in 1996 by Udai veer sing under. 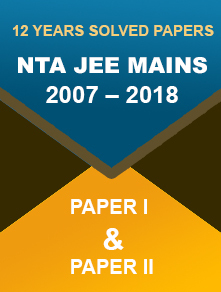 It is affiliated to Dr APJ Abdul Kalam Technical University, Lucknow and approved by AICTE, NCTE and UGC It offers a two-year full-time MBA program to graduates with at least 50% marks in aggregate. The merit list of the students is made through UPSEE scores obtained by them. Faculty: The faculty comprises 25 teachers, who have vast experience in their respective subjects. With rich vocabularies and excellent communication skills, they teach students and help them develop a multifaceted personality. The classes are spacious with Wi-Fi connectivity that enables students to keep abreast of the latest events. Facilities provided to the students: The facilities play a very important role in the Academy of students. This management institute provides separate hostels for boys and girls, a huge library, a sports centre, a cafeteria, an auditorium, medical services, Wi-Fi, and IT infrastructure. As a result, students need not roam helter-skelter in search of their necessities. Whatever they need is available on the campus of the institute itself. It is abbreviated as ICCMRT and very old institute. Its foundation was laid in 1978 and is approved by AICTE and government of Uttar Pradesh. 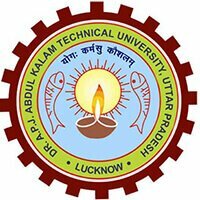 It is affiliated to Dr APJ Abdul Kalam Technical University, Lucknow. It provides an MBA course to the students, who want to make a bright career in the world of management. It is one of the top colleges accepting UPSEE score for MBA course. MBA course detail: It is a two-year full-time course that costs 1.66 lakhs. It is designed in such a way that it develops managerial skills and expertise in the students. As a result, they become competent enough to shoulder varied responsibilities in an organization. The course is approved by AICTE, so the students are sure to get placement after completion of the course. Faculty: There are 13 professors, who conduct management classes. With their in-depth knowledge of their respective subjects, they teach and mould the students appropriately. An individual attention is paid to every student to root out their hesitation. The teachers encourage every student to speak boldly and confidently. It is a new institute, which was set up in 2004. It is affiliated to Uttar Pradesh Technical University and is approved by AICTE. It offers two courses in management—MBA and PGDM. In terms of an MBA course, it is a two-year program that costs 92.3 K per year. General Category students, who have a Bachelor’s degree with 50%, are eligible for this course. SC/ST category students with 45% in graduation are eligible for this course. Infrastructure and facilities: The institute has a grand building, which is spread over 7 acres of land. The classrooms and libraries are air-conditioned and have Wi-Fi connectivity. Additional facilities include Computer Lab, Library, Medical Facilities, Canteen, Academic Zone, AV Lab etc. Campus Placement: The institute keeps in touch with the renowned companies for placement of their pass outs. It organizes campus placement to give a wonderful chance of employment to its students. As of now, its students are employed in top companies, which pay them handsomely. It is a private university, which was set up in 1998. For the last two decades, it has been offering a two-year full-time MBA course to management aspirants. It is approved and recognized by UGC. Apart from this, it has been accredited by NACC with ‘A’ Grade. Eco-friendly environment: The University lies at a distance of 17 km from the main city. This thing keeps the environment away from cacophony and hustle and bustle of the city and provides an eco-friendly atmosphere to students. There is a canteen on the campus which sells several kinds of food items and beverages to the students to keep them active and energetic. Extracurricular activities: Apart from academic pressure, students are encouraged to take in part in sports activities, debates, speeches, tours and excursion, smart classes etc. Extra classes are conducted for language improvement, foreign languages and improvement of communication skills. By participating in all these activities, students develop an impressive personality, which helps them lead a different lifestyle. It is an old institute, which was set up in 1983. It is recognized by state government. It occupies its positions among best institutes imparting engineering and management courses to the students, under UPTU. It occupies its position among top colleges accepting UPSEE score for MBA. Mode of admission: Admission to its MBA course is made through UPSEE scores obtained by students. 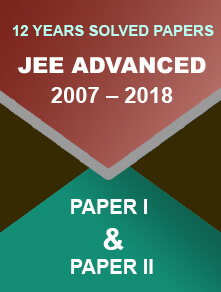 In terms of eligibility criterion, candidates seeking admission to this course should have completed graduation from a recognized university or college with 50% marks in aggregate. Facilities provided to students: For proper bringing up of students, various facilities are provided to them—spacious classrooms, separate hostels for boys and girls, laboratory and sports centre. With these facilities, students confine themselves the institute’s campus only and need not go anywhere.